A lot of tourist boards and travel organisations are these days in Berlin for the 2015 International Tourism Exchange (ITB Berlin). 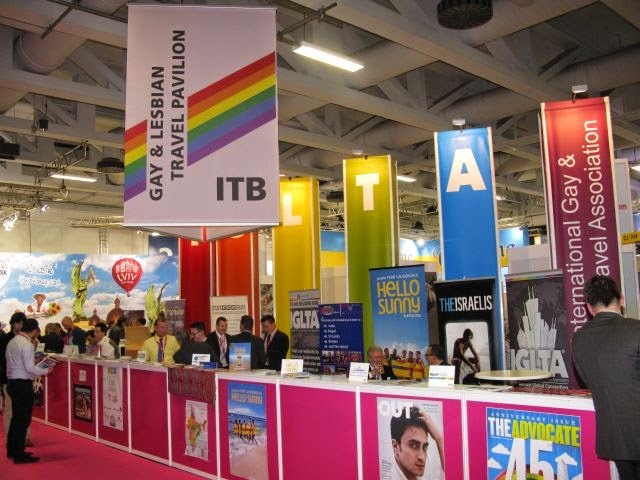 ITB Berlin is a member of the International Gay&Lesbian Travel Association (IGLTA) and supports the IGLTA Foundation. In the context of its social responsibilities, ITB Berlin considers itself to be an ambassador for human rights and tolerance. That is why its commitment to the area of LGBT Travel extends far beyond the trade show. The Gay and Lesbian Travel Pavilion, or Pink Pavilion as it's better known, showcases in Berlin the largest range of LGBTI tourism products at any trade fair in the world. Among this year’s exhibitors attending the Pink Pavilion for the first time are: Mykonos Accommodation Centre, the Stockholm Gay & Lesbian Network with EuroGames 2015, the Dorsett Hotel Group as well as the gay tour operator Zenith Travel from Ecuador. Other exhibitors in the gay pavillion are Spartacus Gay Guide, Brazil with ABRAT and Embratur, Argentina Turismo LGBT, Diversity Consulting from Madrid, the Ella Festival from Majorca, Gay Gran Canaria, World Rainbow Hotels, Gay Guide 365 and co-exhibitors from Tel Aviv and Barcelona. Also Florida Keys & Key West, Fort Lauderdale as well as Ontario with Toronto, are represented for the first time with their own LGBT stand. A record number of LGBT exhibitors at the world’s largest travel trade show.